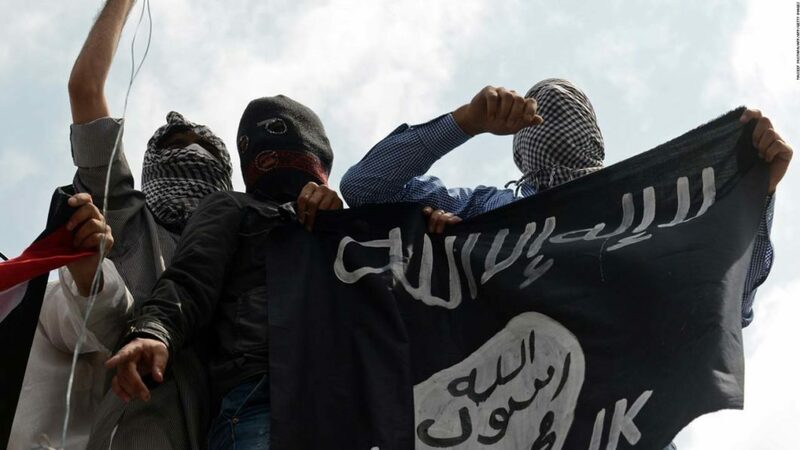 The Islamic State group executed dozens of civilians this month in the Syrian desert, a monitor said Monday, in a gruesome massacre as the jihadists see their “caliphate” collapse. The extremist group last week lost its key Syrian stronghold of Raqa, the latest in a string of setbacks for the jihadists who are facing multiple offensives in both Syria and neighbouring Iraq. The Syrian Observatory for Human Rights, a Britain-based monitor, said IS fighters massacred more than 100 people in the desert town of Al-Qaryatain this month before they lost it to regime forces. Regime forces retook Al-Qaryatain, which lies in the central Homs province, on Saturday, three weeks after the jihadists seized control of it. IS first occupied the town in 2015 and lost it to Russian-backed Syria forces last year. “After the regime retook it (on Saturday), the town’s residents found the bodies on the streets. They had been shot dead or executed with knives,” Abdel Rahman said. The majority of those killed were executed in the last two days before IS lost the town again, he added. The regime seized back Al-Qaryatain on Saturday after more than 200 jihadists withdrew from the town overnight, pulling back into the vast desert region that stretches all the way to the Iraqi border. But it was ravaged by IS during the group’s eight-month-long occupation of the town in 2015-16, with its Christian sites including a fifth-century church reduced to rubble. At the peak of its power in 2014, IS’s self-styled “caliphate” in Syria and Iraq was approximately the size of Britain. Last week, it also lost its most important Syrian bastion, the city of Raqa, after a campaign of more than four months led by the Kurdish-Arab Syrian Democratic Forces, a US-backed militia. The jihadist group is now mostly confined to the oil-rich province of Deir Ezzor in the country’s east, along the border with Iraq. IS holds around 40 percent of the province, which was once almost completely in its hands, and faces two separate offensives, including by the SDF. In September, the offensive ended an IS siege of nearly three years on government-held parts of the provincial capital Deir Ezzor city. Elsewhere in the country, IS holds just a few pockets of territory, including a handful of recently recaptured villages in central Hama province, and parts of the Palestinian Yarmuk camp in southern Damascus.